When I was a freshman in college, I worked parttime in the Shillito’s Department Store in downtown Cincinnati. I was hired to sell shoes, having no more expertise in that field than anyone else whose sole (no pun intended) experience with shoes was in wearing them. But I learned quickly with a lot of help from my co-workers and a lot of observation. One of the things I learned first was that some people had no idea about what shoes were good for them and what shoes were a detriment to them. Many people wanted shoes that were smaller than their optimal size so that their feet wouldn’t look so big. This in spite of the fact that ill-fitting shoes cause corns, blisters, inordinate foot pain, and even club toes. Others wanted loose-fitting shoes thinking that the extra room would give them some additional comfort. Instead, loose-fitting footwear fails to support the foot, allowing the arch to fall, the toes to splay out, instability in walking which can cause tripping and falling, and of course the requisite foot pain. Witnessing many of these preferences and related problems first hand, I have sort of been at war since then against ill-fitting, inappropriate, cheaply made footwear. Yeah, I’m a footwear snob and I can prove it. Yeah, I’m opinionated about the subject, and others get tired of hearing my harangues. But I do have some experience and observation from which my opinions have been gleaned. My wife has had, for years, this affectation toward wearing bizarre novelty slippers around the house, mainly styled in some animal form or another. I, on the other hand, prefer to wear rubber soled, properly fitted mocassins or a similar style. We banter about our differences, good-naturedly I believe, but we just will never agree I guess. My reason for my prejudices on the subject are largely concerned with safety. I know, for instance, that nearly 100,000 people per year have to be hospitalized in this country because of falls in the home caused by ill-fitting footwear. This according to the American Academy of Orthopaedic Surgeons. I know that falls in the home are one of the main causes of health decline, serious injury, and even death, among those over 60 years old. Loose rugs, wet shower stalls, objects laying on floors and staircases, extension cords, and simple inattention all add to or cause a vast number of these falls. We will discard slippery rugs, put slip-resistant coatings on our shower stalls, keep our floors and stairs picked up, and institute other safety measures to reduce the problems related to falls, but we will wear loose-fitting, out of balance, poorly made slippers? It just doesn’t make any sense. It is estimated that nearly one third of elderly persons fall each year. Of those who fall, 50% do so repeatedly. Most falls result in bruises, strains, sprains, and psychological distress. Roughly 1% of those falls result in hip fracture, a devastating and potentially life-threatening injury. More than 90% of hip fractures are caused by falls, especially falls to the side. Therefore, prevention of falls is of the utmost importance in the effort to reduce the number of hip fractures occurring among the elderly. Falls also contribute to 40% of nursing home admissions. Shoes that are ill-fitting, worn out, or inappropriate can lead to falls either directly or indirectly. For example, tight or high-heeled shoes may cause trips and slips and lead to painful foot conditions. Patients should be encouraged to evaluate their footwear weekly. Shoes should be low-heeled and supportive and have nonslip soles. Boots should have good treads for traction. Slippers should cover the foot, fit properly, have no decorations, accoutrements, ties, etc. that could cause snagging, imbalance, or other harmful traits, and above all else, have a nonslip sole. The Prince of Wales Medical Research Institute in Australia has published An evaluation of footwear worn at the time of fall-related hip fracture. They begin by recognizing that a range of footwear features have been shown to influence balance in older people. Their results found that the most common type of footwear worn at the time of the fall was slippers (22%), followed by walking shoes (17%) and sandals (8%). The majority of subjects (75%) wore footwear with at least one theoretically sub-optimal feature, such as absent fixation (63%), excessively flexible heel counters (43%) and excessively flexible soles (43%). Subjects who tripped were more likely to be wearing shoes with no fixation compared to those who reported other types of falls. They concluded that many older people who have had a fall-related injury were wearing potentially hazardous footwear when they fell. The wearing of slippers or shoes without fixation must be assumed to be associated with increased risk of tripping. Many people prefer to wear slippers in the house rather than shoes. 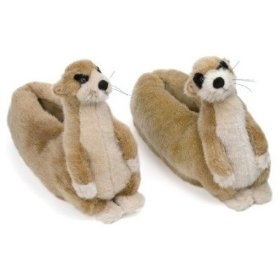 However, slippers sometimes cause falls, particularly in the elderly. The uppers of slippers are often soft and so are comfortable for hammer toes and prominent joints, but the soles can lack adequate cushioning. Like outdoor shoes, slippers should fit properly and should not be too loose. Backless slippers, decorative novelty slippers, and slippers with a high heel really should be avoided. The features of the ideal slipper are generally the same as for the ideal shoe. Close fit, rigidity, stability, and good grip adherence.